Our Amish Houston Open Sofa Table with Drawer and Shelf will feel right at home in a country, farmhouse or rustic style home. 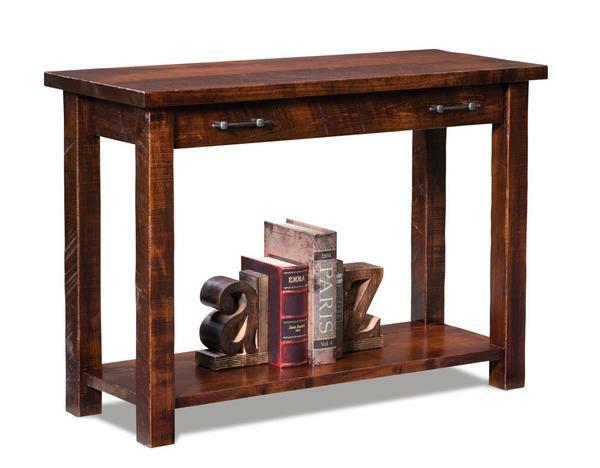 Made from rustic brown maple rough sawn to look like barn wood, this accent table can be placed in a living room, office, entryway or hallway. A fully-extending drawer that can be custom made with soft-close undermounts and open shelf provide storage options.